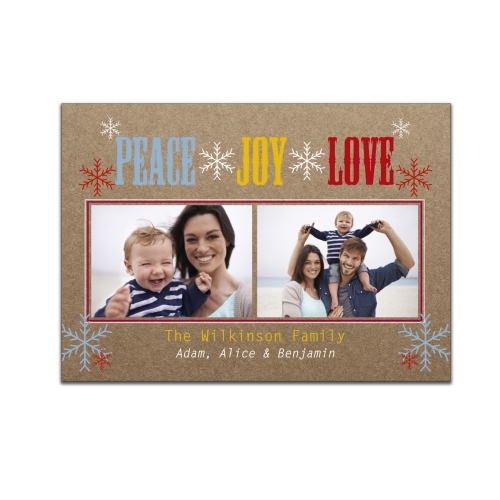 Wish your family and friends a Happy Holiday Season with our Peace, Love, Joy Photo Personalized Christmas Cards. You choose any 2 photos of your choice and we'll custom personalize any 2 line personalization below, for a customized card to call your own! 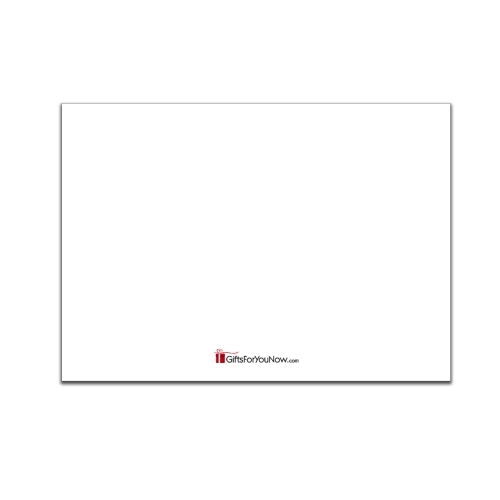 Flat greeting cards measure 5" x 7" printed on premium heavyweight card stock.